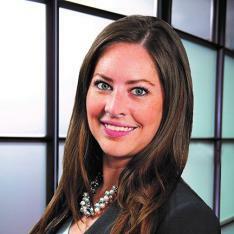 Ashley Wood focuses her practice on all aspects of matrimonial and family matters. Ms. Wood understands that “uncoupling” can be distressful for all involved, and she is especially adept at helping clients through the process. She is dedicated to zealously representing her clients with their goals in mind, while recognizing that each client has unique circumstances. She works with her clients to develop strategies and solutions that will benefit them long-term. While attending Notre Dame Law School, Ms. Wood centered her academic career on preparing to practice family law. She served as a 711 licensed student practitioner in the Child Protection Division of the Cook County State’s Attorney’s Office and as a Student Mediator in the Notre Dame Law Clinic. Ms. Wood also served as the Student Bar Association President and was awarded the Judge Joseph E. Mahoney Award for Outstanding Leadership. Prior to attending law school, Ms. Wood worked in the field of Private Wealth Management. Her experience in finance and with high-net worth individuals and families provided her with invaluable experience and knowledge that she has applied to her work in domestic relations matters. Ms. Wood is a member of the American Bar Association, the Illinois Bar Association, and the Chicago Bar Association. She is also a Charter and Executive Board Member of the Chicago Leadership Alliance and a sustaining member of the Junior League of Chicago. Ms. Wood joined Katz & Stefani as an associate attorney in 2015.